Tampa REIA is very excited to announce that our good friend from Atlanta, Don DeRosa will be our keynote speaker on Thursday, January 10th at our next Tampa REIA Meeting to be held at 6:00 PM at the Doubletree Suites located at 3050 N Rocky Point Drive West in Tampa, FL. Don is a part time real estate trainer and mentor and full-time real estate investor who actively buys, sells and holds properties each month for huge profits and long term cash flow. He also writes a column entitled “There’s an App for That” for The Profit Newsletter each month. Join us on January 10th and Don will share with you, many of his Real Estate Insider Secrets and the state-of-the-art tools he uses to evaluate deals and make them work – for him and for the seller. As he unveils his Insider Secrets, he’ll share with you the buying and selling strategies that are working for him right now. Yes, he’ll show you the secret tools and strategies he uses every day to create profitable deals, even when there appears to be nothing to work with. 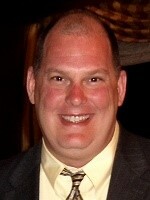 Don will show you how to create an abundance of deals to choose from! Plus he’ll show you how he gets the information to evaluate a deal, wherever he is, so you’ll never waste time with leads you shouldn’t spend time on and beat other investors to the most profitable deals. Don will walk through real world, actual deals, to demonstrate step-by-step how to apply these strategies, tools and techniques. In fact, bring your deals, and he’ll show you exactly how to evaluate the lead, determine your exit strategy, structure the deal, negotiate with the seller, and get the paperwork done almost instantly and without any of the hard work you normally do to get your deals done. How to use Don’s Green means ‘GO’, Red means ‘NO’ tools to negotiate for you, so you never let your emotions talk you into making a bad deal! And is this is not enough, Don will be back with us on Saturday, January 15th for a full day workshop to really drive these points home and give you all the details you need to succeed. Once you are armed with Don’s training and the tools he uses every day, you will be able to make 2013 your best year ever… starting today! WIN A CRUISE: All participants who attend the Tampa REIA Meeting on Jan 10th will entered into a drawing for a chance to win a *Complimentary 2 Day Cruise to the Bahamas with Caribbean Cruise Line! *You must be present at the meeting to win. The 2 day Cruise does not include port fees, transportation and taxes. PLEASE NOTE: Guests can Join Tampa REIA as a Silver Member for a full year for only $100, now through January 10th and attend Don DeRosa’s “How to Make $20K in 30 Days” Workshop on January 15th at NO CHARGE. After the conclusion of the Tampa REIA Main Meeting (after 9PM), we will be reconvening at Whiskey Joe’s Bar & Grill located at 7720 West Courtney Campbell Causeway in Tampa for the “Meeting after the Meeting”. Come eat, drink, network and have fun with us as hang out late into the night on Tampa Bay! 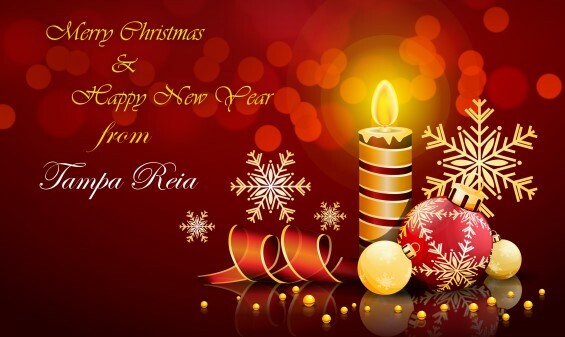 All of us at Tampa REIA want to thank you for making our first year such a huge success and want to wish you and yours a very Merry Christmas and a Happy, Healthy and Wealthy New Year! We look forward to doing much MORE in 2013… More deals, more networking opportunities, more affordable training and workshops, more positive energy and more fun! We’ll see you on next year! The December 2012 edition of The Profit Newsletter for Tampa REIA is now ready for download as a High Quality PDF or Low Res PDF format. In cash you didn’t know, The Profit Newsletter is a digitally delivered, interactive newsletter for real estate investors to read and use with your PC, Mac, Smart Phone, iPad or other mobile ready device. Many of the articles and ads in The Profit contain many hyperlinks you can click or tap to visit websites, watch videos, listen to audios, download content, send emails, comment on articles, share socially and much more! The Profit is a “new” Newsletter and were just getting warmed up, so be sure to Subscribe to The Profit Here so you don’t miss a single monthly issue. And please be sure to tell your real estate investor friends to subscribe as well. This month you can read, interact and enjoy a variety of articles on real estate investing and more from Kimberlee Frank, Tony Pearl, David Lindahl, Bob Massey, Jim Hitt, Kathy Kennebrook, Don DeRosa and Larry Harbolt. And don’t forget, Tampa REIA Business Members can advertise in The Profit at deeply discounted rates. Enjoy! You Can close Your Short Sales with Only ONE WEEK of Work! Ever wonder how much you earn per hour by the time you close a short sale deal? The industry has transformed from being extremely difficult without standardization to becoming streamlined with a specific system per lender. Many investors hate the idea of doing short sales because of the fallacy that they are so time consuming. Is this true…literally? Have you ever broken it down per deal? The time you actually spend on 1 deal versus the cash you earn is really quite exciting! The market got tighter with fewer houses for sale, making it a Seller’s market. The Lenders slowed down their foreclosure processes, in my opinion, due to the Presidential Election. Now that the election is over, the lenders are going to be pushing really hard to get the foreclosures through. CallerID Note Pro: Get the Names Straight! It’s eight p.m. on a Saturday night. You’ve just settled into your front-row seat at the opera – you’re seeing your favorite, La Traviata. Okay, so you’re really at a WWE wrestling smackdown. Work with me here. At any rate, you’re in your seat waiting for the action to begin, and your phone vibrates. Caller ID says it’s Francine Fudley, a very motivated seller who’s on the verge of signing a contract. But wait, that’s wrong! Isn’t Francine Fudley the name of your brother’s second wife’s third cousin? The seller’s name is really Freddie Pfeffer, right? Or is that Frances Furman? Sheesh. What a dilemma! You’ve got to take a call from the seller, even if it means missing a perfectly good cage match. But if you take the call and it turns out to be your brother’s second wife’s third cousin, you’ll be stuck in a long, long conversation about how her gout is a sure sign of a decaying society. The more researchers and attorneys investigate the structure and composition of securitized trusts the more phantom-like they become. Three years from now you could be living in a water front property, sleeping in on Monday mornings, doing only the things you want to do and excitedly walking to the mailbox everyday ready to gather that days set of cash flow checks the Postman dropped off . It’s those cash flow checks that allow you to live this life of leisure and it never stops to amaze you how they have gotten as high as they are and they keep increasing!! …Or…you could wake up on Monday morning three years from now, living the same life your living now….and if that’s OK with you, that’s OK with me. But if you want to change your life in any way, that change will probably require money…. And here’s the deal…you have about two and a half years to stake you claim and get your share of a lot of wealth that’s about to be created during this big property grab. Since we just finished our 5-part journey of “Real Estate + The Internet = The Perfect Marriage,” (see previous issues) we’re going to do something a little different in this article. We’re going back to the ‘Old School’ style of real estate investing. Specifically: How To Get Started in Real Estate Investing… Again! The great thing about technology is that it really helps you leverage your time. When set up correctly, you can have computers & systems do a lot of the work FOR you, and that’s wonderful! However, it takes time, thought, money, and reliable technology. And that’s just to get it set up! When I started over 30 years ago, like many of you I didn’t have any extra money to pay a mentor or buy an investing course. I decided I would learn the real estate investing business by just doing it. I thought I could shorten my learning curve by going to real estate meetings. I went to a popular real estate meeting in my area for several months. Then I got the bright idea that if going to one meeting was a good idea it would have to be better to go to more meetings. So I decided I would go to four meetings in my area every week. I thought that the real estate meetings I went to were where the seasoned investors with all the knowledge of how the business worked went and if I could meet them I could pick their brains and learn the secrets of investing that would catapult me to success. As I walked away from the kittens, I considered the idea that if something looks too good to be true, it probably is. This holds true with real estate deals also: they may look great in the heat and excitement of the potential purchase, the promise of a great deal, the money that we know we will make. The truth is, however, that kittens need continuous care: food, shots, and attention. Similarly, a real estate investment needs supervision: maintenance, unforeseen challenges, and renovations. Have you ever considered doing short sales as a real estate investment strategy but avoided doing so because you heard that short sales and lenders can be a real pain? Have you heard that short sales can be really time consuming and not worth the effort? 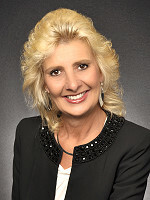 If so, short sale expert, Kimberlee Frank wants to set the short sale record straight at our next Tampa REIA Monthly Meeting on December 13th at 6:00 PM at the Doubletree Suites located at 3050 N Rocky Point Drive West in Tampa, FL. Kimberlee is going to spend the evening updating us on the current state of the short sale industry, what is happening now, what is likely to happen next as well as the pros and cons of doing short sales. She is going to break down the whole short sale process step-by-step and tell you how you can make profits of $20,000 or more without spending nearly as much time doing the deal as you might think. Come join Kimberlee and the rest of us at Tampa REIA on December 13th at 6:00 PM and decide for yourself if investing in short sales might be right for you, especially since you can get started with little or no money down. Realtors and Real Estate Investors: Have you taken advantage of the fact that Foreclosures Have Gone Wild? If not, why… Fear? Lack of experience? Discouragement? 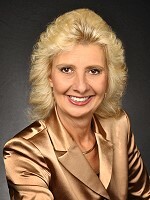 No matter if you are a first time Investor, Realtor or a Seasoned Pro, on December 15th at 9:00 AM at the Doubletree Suites located at 3050 N Rocky Point Drive West in Tampa, FL, Kimberlee Frank will show you all the secrets to get your short sales approved and closed! Yes, some people say “Are you Nuts to work Short Sales? !” Kimberlee says “You’re Nuts if You Aren’t!” Short Sales can be frustrating, if you don’t have a simple, easy step-by-step system that is current with the weekly changes in the industry. It doesn’t matter what level of experience or lack of experience you have… Kimberlee has got you covered. Learn from the best, partner with her and let her negotiate, fund and/or rehab the property and split 50/50 profit split!